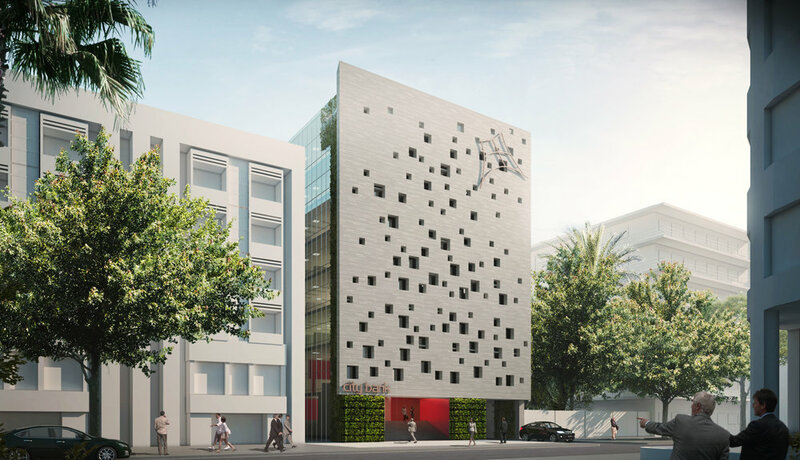 This proposal for the Gulshan branch of City Bank aims to create a cohesive presence and identity, an efficient façade, and a secure threshold; all while maintaining the existing building and glass façade. The minimal intervention is an updated monolithic stone screen, perforated with apertures to filter natural sunlight. 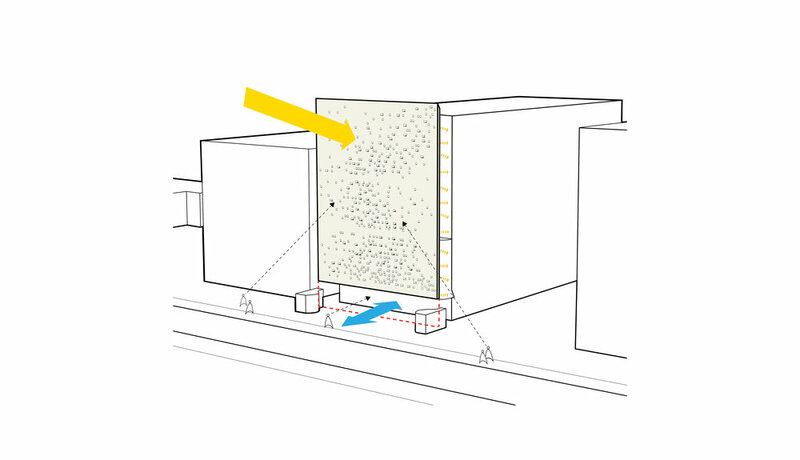 The sunscreen is lifted at the ground floor, to define the public threshold. Proposed in-between the existing curtainwall and new screen is a living wall. This vertical vegetation situated behind the sunscreen is protected from the harsh Dhaka sunlight, where it can thrive in a shaded environment. Through evapotranspiration, the vegetation helps to further cool the existing façade below.